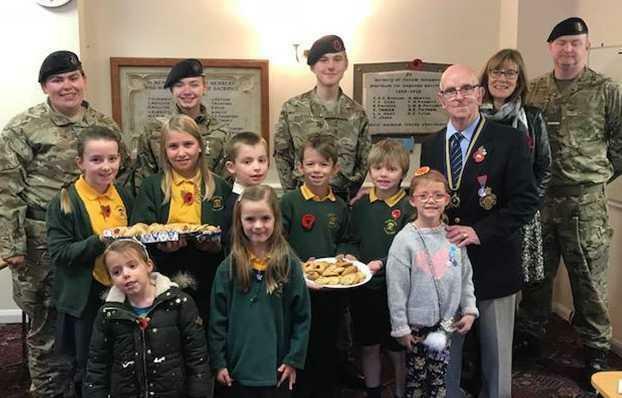 We had a wonderful time at the Melton Mowbray Royal British Legion on Saturday 10th November when we delivered the homemade cookies, we made during our Messy Fiesta, to all the Remembrance Day helpers. Bob Wilson, who is the Branch Chairman made the visit very special for us. The children and adults loved looking at the model scenes from wartime, photos and memorial plaques.